As the woman chosen by God to be the Mother of His Son, the Virgin Mary is known around the world as a good, holy, and exceptional woman. 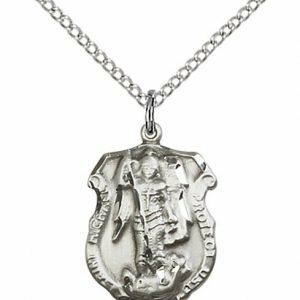 Certainly she must have had extraordinary parents whose example of faith and trust in the Lord impacted her in a way that would change the course of history forever! These parents, named Joachim and Anne, have been honored throughout the ages for their dedication to raising their daughter, Mary, to be a woman fully devoted to God. Image depicts Joachim (left) Anne (right) the parents of the Blessed Virgin Mary. 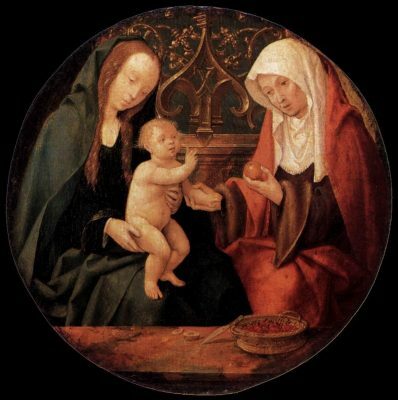 Mary is depicted as the child (center). There is very little known about the parents of the Virgin Mary. 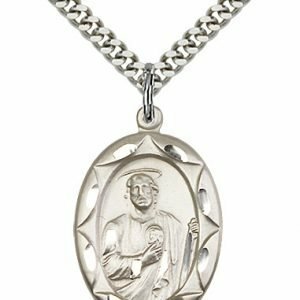 St. Anne and St. Joachim are not mentioned in the canonical gospels; however, their story has been told in a document known as the “Gospel of James.” This document is not to be read for its’ historical or factual accuracy, nor is it the inspired Word of God (which is why it is not included in the bible). Yet, the legend included in this document that tells of St. Anne and St. Joachim is the first mention of Mary’s parents and has been a catalyst for Christians to honor and celebrate Mary’s parents. Whether the names and dates in the “Gospel of James” about St. Anne and St. Joachim are correct or not is unimportant, for instead, we should look to the truth that we do know: that the Virgin Mary was born of a man and woman who raised her in a way that brought glory to God. St. Anne is often depicted as a seated woman with a book upon her lap and the child Mary leaning against her, eager to learn. This image tells us what we know of St. Anne, as well as the reason St. Anne is honored to this day. 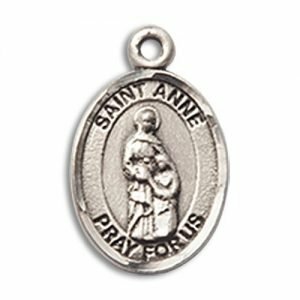 St. Anne had a unique position in which God entrusted to her the task of bringing up Our Lady in a holy and virtuous way. 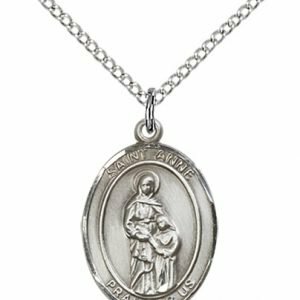 While teaching Mary to cook, take care of her home, and look after her family and neighbors, St. Anne modeled for the Virgin Mary a life of prayer, love, and humility. 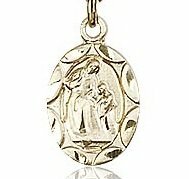 In doing so, St. Anne prepared Our Lady to receive Our Lord not only into her heart, but into her very body, becoming the Mother of God. On December 8, Catholics celebrate the Feast of the Immaculate Conception. 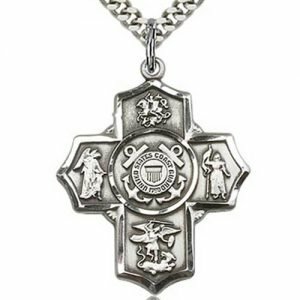 This teaching has been a belief held by Catholics for ages; however, it became official dogma in 1854 by Pope Pius XI. On this day, Catholics recognize that the Virgin Mary was conceived in the womb of St. Anne free from original sin. This prepared her as a pure and holy vessel to become the Mother of God. Information about St. Anne’s death has been lost to history. 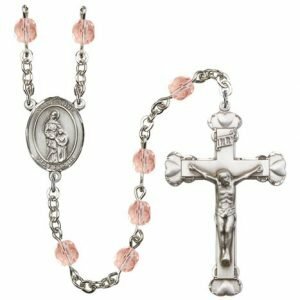 She has been honored as a saint from the days of early Christianity, and her relics have been the cause for pilgrimage in several countries. They were brought to Constantinople in 710 and remained there until 1330, when they were relocated to several places, including Apt, Ghent, Provence, and Chartres. In 1506, Pope Julius II declared that St. Anne’s relics would stay in Duren, Germany. 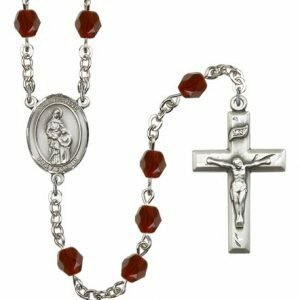 Also, there are small relics that are located at various churches and monasteries throughout the world that have placed themselves under her patronage. 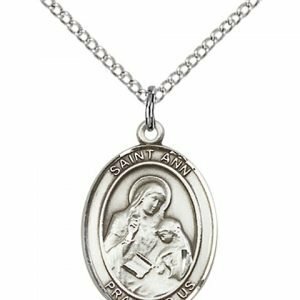 St. Anne is the patron saint of unmarried women, housewives, women in labor, grandmothers, childless people, equestrians, lacemakers, miners, the poor, and seamstresses. 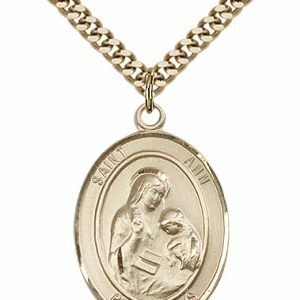 The most well-known patronage of St. Anne is that of grandmothers. 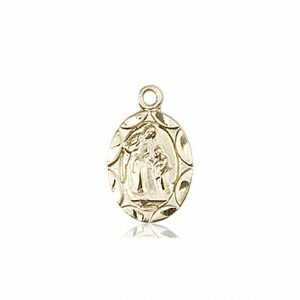 Certainly as the mother of the Virgin Mary and the grandmother of Jesus Christ, St. Anne was a woman of great virtue and love. 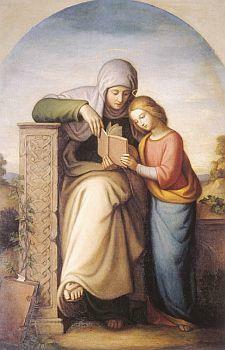 St. Anne is often shown seated with a book on her lap. The child Mary stands against her, eager to listen. This depiction of St. Anne is a small explanation of what we know of this holy woman. 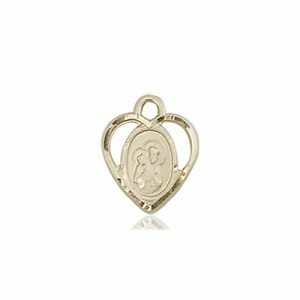 God entrusted to St. Anne the task of raising Our Lady in a holy and virtuous home, and from a very young age Mary looked to St. Anne to learn about God and how He works in the lives of those who love and serve Him. Let Saint Anne be your partner in prayer as you say one of the prayers below or as part of your rosary devotion. Find Saint Anne Rosary Beads here. O holy mother, Saint Anne, so rich in graces, you will never leave unheard the pleadings and tears of a mother who invokes you for a wayward child. Lo! You know my grief and the anguish of my heart. 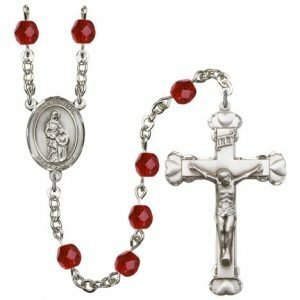 Look down with your maternal eyes upon this poor erring child, and bring it back upon the way of salvation that it may again serve God faithfully and obtain eternal happiness. I ask this through Christ Our Lord. Amen. 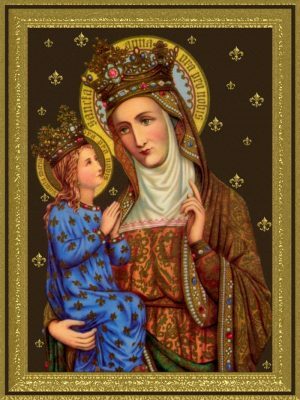 Glorious Saint Anne, filled with compassion for those who invoke you, and with love for those who suffer, heavily laden with the weight of my troubles, I cast myself at your feet, and humbly beg of you to take the present affair which I recommend to you under your special protection. Vouchsafe to commend it to your Daughter, the Blessed Virgin Mary, and lay it before the throne of Jesus, so that He may bring it to a happy issue. Cease not to intercede for me until my request is granted. Above all, obtain for me the grace of one day beholding my God face to face, and with you and Mary and all the saints praising and blessing Him for all eternity. Amen. 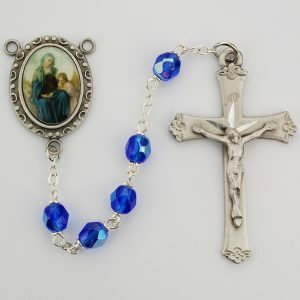 Good Saint Anne, Mother of her who is our life, our sweetness and our hope, pray to her for us, and obtain our request. (Three times). 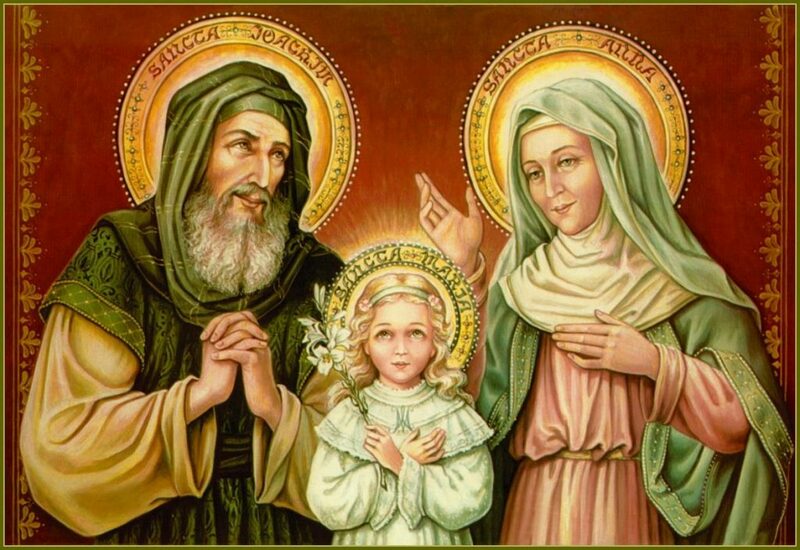 Saint Anne, Spouse of Saint Joachim, Pray for us. Saint Anne, Ark of Noah, Pray for us. Saint Anne, root of Jesse, Pray for us. Saint Anne, fruitful vine, Pray for us. Saint Anne, joy of the angels, Pray for us. 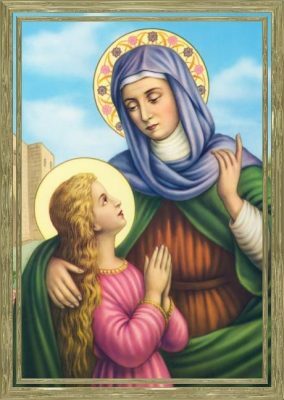 Saint Anne, hope of the patriarchs, Pray for us. Saint Anne, vessel full of grace, Pray for us. Saint Anne, mirror of obedience, Pray for us. 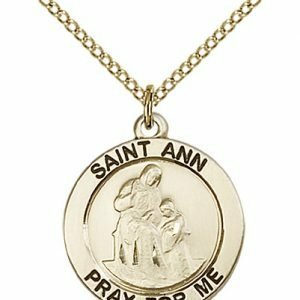 Saint Anne, mirror of patience, Pray for us. 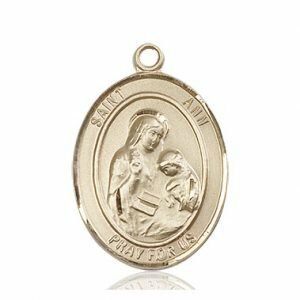 Saint Anne, mirror of devotion, Pray for us. Saint Anne, support of the Church, Pray for us. 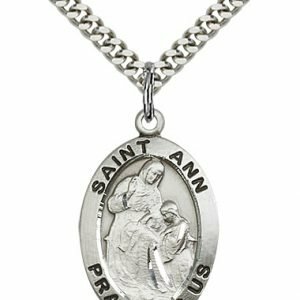 Saint Anne, refuge of sinners, Pray for us. Saint Anne, mother of virgins, Pray for us. Saint Anne, help of Christians, Pray for us. Saint Anne, gate of salvation, Pray for us. 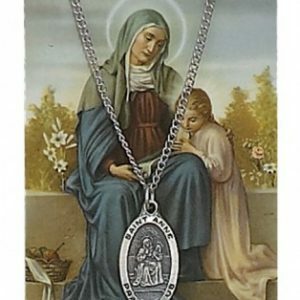 Saint Anne, guide of pilgrims, Pray for us. 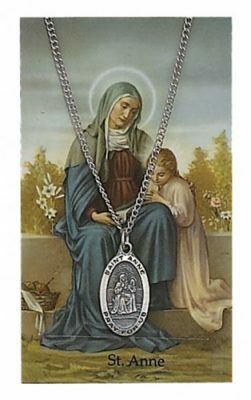 Saint Anne, consolatrix of the afflicted, Pray for us. Saint Anne, health of the sick, Pray for us. Saint Anne, help of all who invoke you, Pray for us. Pray for us, O blessed Saint Anne. O God, Who by Your grace, was pleased to choose blessed Anne to be the mother of the Virgin Mary, mercifully grant that we who celebrate her praises may be assisted by her prayers to You, Who live and reign in a world without end. Amen. St. Anne, show me the best way to serve my children as they raise their growing family. Help me always to give them words of encouragement, support, and respect. Show me how to be a good grandmother to their children. 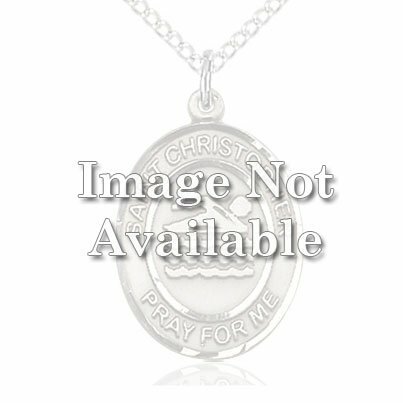 With great love, I pray for each of my grandchildren and ask you to intercede on behalf of their needs, intentions, and aspirations. Pray that we may enjoy a long life together and after our death be united again for all eternity in the Kingdom of Heaven. Amen. 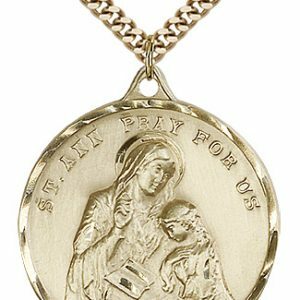 St. Anne, like all grandmothers, you care for your grandchildren. You are concerned for the happiness of all families. You know our joys; you accept our pain and suffering; you support and encourage our endeavors, and you comfort our hearts. With all the uncertainty and anguish that weigh down upon our world, you do not abandon us. With your blessing, we grandmothers will continue the mission of your grandson, Jesus. As we begin this third millennium, remind us that the future of our world lies in the path of love. Help us to foster the good values in life and to avoid all that may be harmful to our families. St. Anne, please gather all your children, young and old, to work together in building a world of justice and peace. Amen.